I was asked by various people to post this when I'd finished a draft. This is hardly a completed version, and the same caveats apply as before. But it might be interesting for those who follow this subject. In this article, I explain the role, situation and development of Southern state formations in relation to the Cold War and the crisis of Jim Crow, through the classical period of anticommunism. Here, following a lead offered by (Therborn, 1983), I use the term ‘state formations’ in a very specific way, referring to a constant, open-ended process of formation, de-formation, and re-formation, with no fixed terminus. This conception allows us to see the state in motion, through a series of strategic moments, not just of de-formation and re-formation, but also crucially of thwarted de-formation and re-formation. The state is thus no static object, but a strategic factor in the construction of hegemonic class rule, operating in and organising its spatio-temporal matrix. Beginning with the spatial dimension, I open by advancing some general theses on the position of Southern states as authoritarian regional ‘sovereignties’ within a capitalist democracy, and their role in organising Jim Crow as an internal frontier. I then proceed to the temporal aspect, outlining a periodization which combines the process of de-formation and re-formation that I adverted to above with the syncopated rhythms of civil rights struggle on various planes and state responses, the flux of political representation, the interplay of institutions and the emergence and breakdown of a ‘line’ that favoured the preservation and gradual reform of Jim Crow. Each step in the periodization will raise problems deriving from the analyses which now follow. "My fellow citizens, we are now an occupied territory. In the name of God, whom we all revere, in the name of liberty we hold so dear, in the name of decency, which we all cherish, what is happening in America?” Governor Orval Faubus’s lament, in response to the deployment of 101st Airborne in May 1957, to enforce school de-segregation in Little Rock, Arkansas, signalled his political reinvention. From being a ‘moderate’, baited by opponents in the Democratic right as a ‘leftist’ and even a ‘communist’, typical of a takeover of the Democratic Party by the “pinks” and “subversives” as Strom Thurmond put it, he became a southern nationalist and McCarthyite. So, to approach the role of Southern states in conserving Jim Crow, and particularly the position of anticommunist practices within this, we must first account for the particular political regime in the United States, through which the southern states had been able to develop as sites of power and resistance: the federal constitutional republic. It has been argued that a territory as vast and differentiated as that covered by the United States called for some form of federal regime. (Wood, 2004, p. 127) Yet, the administrative division of large and differentiated territories varies enormously, while federal structures are present in relatively small national states. The interpretation that treats federalism as a function of scale and differentiation is related to the liberal-constitutional (i.e. juridical) image of the central state being the sum of pooled sovereignties deriving from local formations. I will reject this image. The state, as such, is an illusion, a “mythicized abstraction” attributing an artificial unity to an ensemble of institutions and techniques. (Corrigan & Sayer, 1985, p. 7; Foucault, 1994, p. 220) By this is meant that there is a “misplaced concreteness” (Alonso, 1994) implied by the definite article, ‘the state’, in which the state could be mistakenly comprehended as an organism, object or instrument. This reification of the state has etymological origins in the English Revolution, wherein the term ‘state’ developed as a negative, critical term in contrast with the ‘society’ of free individuals. (Williams, 1983, pp. 292-3) This state-society dichotomy is reinforced by the juridical conception of the state as a sovereign legal entity, which lends ‘the state’ its concreteness, its definite boundaries, its institutional determinacy. For in this perspective, the state is seen to be reducible to its ‘public’ core, such as a deliberative chamber, police, courts and the armed forces. However, this is a mystification. The state covers much more than its public core; its presence is felt in a wide array of relations and institutions, some of which are formally ‘private’; its ‘strategic field’ organizes ‘sites of power’, some of which are apparently autonomous from politics. (Poulantzas, 2000, pp. 36-7) The fact that this mystification is also that to which defenders of Jim Crow habitually turned in the defence of white supremacy, makes the analytical imperative to see beyond it all the more urgent. The materiality of ‘states rights’ must reside somewhere other than in the ‘sovereignty’ of local states, and I will argue that it rests in the specific relation of Southern states to the national state. Poulantzas, drawing from Althusser’s famous essay on the ‘ideological-state apparatuses’, argued that the state consists of a set of material practices and institutions in which are condensed the class relations prevalent throughout the social formation in which it emerges. This takes a number of forms. First of all, the state is situated within a social division of labour characterised by a fundamental cleavage between intellectual (executive) labour and manual (menial) labour, as ‘intellectual labour’ incarnate. That is, while capital monopolizes knowledge in the organization of production processes, the state monopolizes political and administrative knowledge concerning the organization of society as a whole. Secondly, the state’s material frame of reference reproduces the spatio-temporal order of capitalist society within itself, producing at a politico-legal level the ‘effect of isolation’ that competition between dependent producers enacts in productive relations, in a sense that is “terrifyingly real”. At the same time, it incorporates isolated subjects into a corporate body, a people/nation. (Poulantzas, 1978) Thirdly, as a form of legal organization, it embodies axioms for what Corrigan and Sayer call the “moral regulation” of social life, its axioms materialized in the state’s simultaneous monopolization of public violence. It thus produces the “ontological and epistemological premises” of the social order in which it has arisen. This understanding of the state more readily explains the conduct of the Federal government and southern states in relation to segregation, and the anticommunist practices deployed in its defence. Southern states were, on the one hand, dependent on the central state for the legal, political and ideological weapons that it deployed in the defence of segregation. The anticommunist arsenal, ranging from the ideological practices of the state, including loyalty oaths, the ideology of ‘Americanism’, and the representation of communism as a clear and present danger to national security, to the HUAC structure and the committees of investigation, was primarily organized in the central state. Further, only with the indulgence of the President, Congress and Supreme Court was it possible for segregation to be imposed and perpetuated. On the other hand, the regional organization of white supremacy created the vertical solidarity among whites that made the South such a solid component of the Cold War hegemonic bloc. Southern politicians seeking to defend their system were not reticent in reminding lawmakers in Washington of the South’s pronounced patriotism, militarism and vigilant policing of the sources of popular opposition to this bloc. Based on the above, I can make some preliminary remarks about the organization of segregation in the South, in the course of which I will indicate the general role of anticommunism in this. Segregation involves the state operating in all of its material capacities: deploying its monopoly on administrative (political, legal) knowledge to constitute productive relations along the lines of a racial bifurcation; producing the ‘effect of isolation’ and the composition of a people/nation through the conjunction of ‘property rights’ with white nationalism and ‘states’ rights’; engaging in “moral regulation”, upholding norms relating to family, education, work and sociality along strictly racial and patriarchal lines, with violence an ever-present determining force; and constituting territorial spaces with a sharp ‘internal’ frontier separating the white national from the (black, communist) non- or anti-national. It is one aspect of the territorial activity of the state, the spatial organization of productive relations, that I now want to elaborate on. Gramsci enjoined the study of “regional situations”, meaning “a differentiated geo-economic organism”. (Jessop, 2008, p. 102) In the study of state formations, territoriality is something that one almost takes for granted. But the spatial aspects of state formation, comprising the differentiation of the geographical terrain, the distribution of natural resources, the clustering of productive activities around advantageous nodal points, and the social, temporal and spatial divisions of labour that are possible within this space, have profound political consequences. Thus, space cannot be considered separately from the productive relations that produce its matrices. The specific pattern of Southern state formation (and re-formation) was determined by such a “geo-economic” unity of spatial and productive relations. This regional situation, which I will briefly describe below, was one in a state of crisis and re-organization by 1945. And it is in the context not only of this conjunction of elements, but above all its crisis, that we will interpret the recourse to tightening segregation measures, as well as anticommunist repression, a process which we will see in motion in the periodization. Coterminous with this development was the emergence of textiles as the major southern industry. Whereas the textile industry in the United Kingdom had developed on the basis of a proletariat completely separated from the means of production, in the United States it developed in relation to family farming. This created localised patterns of resistance which in most cases did not produce class-wide struggle, and which were contained through “paternalistic production apparatuses”. Feudal remnants, of the type associated with labour tenancy and sharecropping fused with the rationalising techniques of Fordist production. Cold War anticommunism arrived in the South as a politics of crisis management. Just as its class relations were being re-organized, and the material basis for segregation and thus the cheap labour on which the region relied was disintegrating, Southern states were gifted a series of political, ideological and legal means by which to disarm popular, labour and radical challenges. Just as the spatial grid of plantations and mill towns which had formed the basis for segregation was being unsettled, with new industries re-territorializing the region’s productive and commercial surfaces, Southern states were in a position to ensure and rigidify the segregation of those spaces with a new arsenal of statutes, state codes and city ordinances. Opponents of segregation could be red-baited, cowed, divided, beaten and imprisoned. But the turn to anticommunism cannot be seen purely as a façade. It was an integral part of a system of representations, a discursive formation that was rooted in Southern political traditions. It is to this representative dimension of the state that I now turn, before proceeding with the periodization of Southern state action in the Cold War period. It is impossible to address the crisis of Jim Crow without saying something about the position of representative democracy in the capitalist state. Here I will talk about representation in two related senses: 1) the party political representation of classes and class alliances; 2) the semiotic and discursive representation of class conflicts and ‘race’, as well as of their party political representation – the representation of representation. (See (Jessop, 2002; Hall, 1997; Foucault, 2002)). The point here is to situate the Democratic Party’s representative role in the South in relation to the typology of ‘democratic exclusivism’. If the state constitutes, in its institutions, a “material condensation” of the balance of political and class forces in the social formation in which it has taken root, then the ‘line’ that emerges at any given moment is the result of an interplay between the institutional ensemble, its spatio-temporal matrix and the class antagonisms which cut across both. These factors determine the calculable range within which it is possible for given classes to assert their interests within the state. The southern state also represented the people/nation through its legal axioms and its application of scientific-technical (administrative) knowledge. (See (Scott, 1998)) The people/nation emerges in this sense as a series of data, represented in statistics purporting to show, for example, a higher rate of illegitimacy, sexual disease and criminality among African Americans. Jim Crow can thus be seen as a form of governmentality (Foucault, 1994) which applies racial knowledge in its techniques, produces racial subjects, and whose index of legitimacy is its ability to continually reproduce and protect the white nation from its internal enemies. However, the spread of Democratic influence in the North throughout the 1920s, partly due to the sizeable number of immigrant Catholic workers, and the strategic shift of the national Democratic Party’s social base to incorporate organized labour during the 1930s, introduced what, in my periodization, I will consider the first real fissures in the ‘Democracy’. The decline of cotton industries after WWI had stimulated a wave of mass migration of African Americans to the industrial north, which didn’t stop until the 1960s. The exacerbation of class antagonisms throughout the South during the Great Depression resulted in the Communist Party USA making its first breakthroughs among class conscious black workers, sharecroppers and cash tenants. And the emergence of monopoly capital demanding a centralisation of national state authority, further de-stabilized the system of Jim Crow representation. (Barlow, 2003, pp. 35-6; Kelley, 1990, pp. 34-56; Solomon, 1981) During the post-war era, when the alliance between the Democratic Party, monopoly capital and organized labour was consolidated, the balance of power gradually shifted away from the South. The modes of representation adapted accordingly. Southern planter and textile capital mobilised through the state to outflank liberals, using the anticommunist dispensations of the Cold War to witch-hunt ‘integrationists’. Southern politicians known to occupy the Democratic Party’s ‘progressive’ wing reacted to the crisis of the South by moving sharply to the right: Strom Thurmond, Orval Faubus and George Wallace became standard-bearers of a New Right rooted in the protection of ‘states’ rights’ and a commitment to reverse the interventionist, welfare legislation that had empowered the opponents of segregation. It is not that the old representational strategies were discarded, nor that anticommunism was in itself a novel factor. Anticommunism had long been interpenetrated with regional and national forms of nativism and white supremacy. (Kovel, 1997, pp. 14-22; Heale, 1990, pp. 60-96; Foglesong, 2007, p. 58) But while liberal, paternalist policies of the sort associated with Wilson had once been seen as the most effective retort to radicalism and socialism, they were now regarded as handing the communists a more effective weapon of struggle than communists themselves were capable of devising. The elements of the old discursive formations were rather re-articulated, given a new unity under the dominance of anticommunism, which was the sign and sanction of a Southern party of order. This form of representation corresponds to a form of governmentality, of statecraft, which can be called crisis management. But by the Second World War, the conditions for the erosion of this system were established. The growing economic base of African Americans had created opportunities for political and particularly legal mobilization. At the same time, the Democratic Party’s social base had undergone a radical shift. Under FDR, the Democratic Party established a base in the industrial working class for the first time. Some of the platform of progressive legislation intended to consolidate this base, had to address the problems of black workers. “However discriminatory its administration,” Klarman writes, “the New Deal at least included blacks within its pool of beneficiaries”. The incorporation of black advisors, albeit without direct political authority and some concessions in the way of racial quotas within the Public Works Administration housing projects, indicated the influence that a growing number of northern black voters could exert. (Mickey, 2008; Marable, 2007; Hine, 2003; Klarman, 2004, pp. 110-1) As we will see, this shift was permanent, and would be a decisive factor in Truman’s pivotal 1948 presidential candidacy during which the Cold War consensus was established. Black civil rights activists, presented with this opportunity, did not prevaricate. The National Progressive Voters League was founded in Arkansas to mobilise a “newly enfranchised” electorate. The ensuing increase in black voter registration across southern states, rising from a quarter of a million in 1944 to a million in 1952, provoked efforts to circumvent Smith vs. Allwright that presaged ‘Massive Resistance’. For example, Governor Olin Johnston of South Carolina convened the state legislature in order to throw out all laws pertaining to party organization, the implication being that the Democrats could run their operation as they saw fit. This subterfuge was outlawed by the Judge Waring of Charleston in 1947, which signalled the beginning of the end of the all-white primary. (Davis, 2000, p. 17; Bartley, 1999, pp. 7-8) Yet, the increase in black voter registration still left the vast majority of African Americans un-registered. The gains that were achieved, moreover, were significantly reversed in the years after 1952. And the moment of 1946-8, from the ‘Iron Curtain’ speech and ‘Long Telegram’, inaugurating the Cold War, to the 1948 presidential election campaign producing a surprise victory for ‘Vital Centre’ liberalism, was a hegemonic moment. It represented the shattering of the ‘Popular Front’ Left, the ascendancy of anticommunist politics as the horizon of acceptable dissent, a temporary settling of accounts with the South broadly in the latter’s favour, and the emergence of a stable coalition of classes and fractions under the dominance of Fordist monopoly capital. In the South, anticommunist rhetoric and action focused on the threat posed by union organization and civil rights agitation to the sustainable reproduction of the region’s class and political system. Thus, Georgia Governor Herman Talmadge alleged that the CIO’s gains in the South were being driven by a ‘subversive’ campaign to organise and African-American voting bloc that communists could then use against the South. Operation Dixie, although focused on an overwhelmingly white textile industry and thus not directly challenging white supremacy, was treated in a similar way. The collapse of the organizing drive owed itself largely to the effects of the rivalries and anticommunist purges produced by the Cold War crackdown. But even relatively moderate civil rights reform, such as the Fair Employment Practices Commission was deemed “a communist inspired conspiracy to undermine American unity”. Aside from bolstering the South’s representative strategies, anticommunism also provided some techniques of statecraft. Whether the body involved was SISS, HUAC, the FBI or the local state police, the Red Scare transposed the normal state representation of the population as data in a field of calculable (scientific-technical) intervention, into an alternative representation as ciphers, cryptographical data available for interpretation through a set of investigative techniques, bureaucratic-legal rituals of inquisition, quarantine (‘blacklisting’) and correction through punishment. In the years directly following the election campaign, the States Rights Democratic Party was wound up, and its supporters returned to the Democratic Party. The balance of opinion among Southern Democrats continued to shift to the right. For the time being, the racial status quo was preserved, with Cold War anticommunism supplying the rationale and technical repertoire sustaining its conservation. The zenith of anticommunism in the Cold War era was reached in the years immediately preceding Brown vs the Board of Education. The moment for organized labour to resist had passed, and their attitude was increasingly docile. The passivity on the part of organized labour was matched by a similar complacence among professional associations. (Schrecker, 2002, p. 101) Southern segregationists were arguably the major beneficiaries of this trend. It was not just that the administrative-repressive techniques refined in Washington DC could be adapted for the South, though this did happen. For example, the city of Birmingham, Alabama, menaced communists with $100 fines and 180 day jail sentences for every day that they remained in the town. (Schrecker, 2002, p. 83) Rather, Southern politicians began to be able, through their disproportionate dominance in the elected chambers, to direct the central anticommunist apparatus to their own ends. The concerted action of repressive and ideological state apparatuses (understood here not as distinct but as mutually articulated apparatuses) produced a form of moral regulation, a set of norms and social classifications, through which this anticommunist bloc was constantly constructed and maintained, its opponents divided and cowed. The rituals and hierarchies of HUAC and SISS produced the social categories of deviant, alien, subversive and, the obverse, loyal, ‘good American’, citizen, patriot. Through such means it produced consent, a consensus. But the nature of these actions, the ever-presence of politically organized violence as a determining factor, the basis of consent in political fear, undermines any attempt to understand hegemony strictly in the terms of a consent-coercion dichotomy. “Physical violence and consent do not exist side by side,” Poulantzas argued, “like two calculable homogeneous magnitudes, related in such a way that more consent corresponds to less violence. Violence-terror always occupies a determining place not merely because it remains in reserve”. (Poulantzas, 2000, pp. 80-1) The breakdown of anticommunist terror, concurrent with a crisis in the unity of the state apparatuses, was cosubstantial with a breakdown in consent. Despite the complaints of some southern industrialists and planters, New Deal concessions had stabilizing effects throughout the social formation, north and south. The problem for the dominant classes in the South, however, was that the “material substratum” of their rule - white supremacy, organized through localized sites of power but thus far supported by the central state or at least not seriously challenged - soon became incompatible with extended (international) reproduction of monopoly capital. By 1954, the hard, conservative edge of anticommunism led by McCarthy and Eastland was beginning to disintegrate. The possibility of any ‘threat’ to American capitalism by the Communist Party USA had always been remote, but even its ability to play a constructive role in a ‘Popular Front’ left had been dismembered by this point. In addition, the anticommunist doyens began to over-reach. McCarthy would be censured by the Senate in that year, following a year of televised hearings in which he attacked senior members of the establishment including, by implication, President Eisenhower. In the months before the Supreme Court handed down its verdict on Brown vs the Board of Education, moreover, the Senate Internal Security Subcommittee (SISS) led by Eastland experienced a public embarrassment arising from its investigation into the influence of communism in the Southern Conference Educational Fund (SCEF). The national Supreme Court was compelled to decide in the matter of the segregation of education by the intense legal and political campaigning of the NAACP, supported by the Truman administration which, in its last weeks, submitted an amicus curiae to the court underlining the international ramifications of any decision. (Dudziak, 2000, p. 90) The court, in finding that de jure segregation was incompatible with equality and thus unconstitutional, left unsolved the problem of de facto segregation. In effect, it left open the possibility of allowing schooling to be operated on a geographical basis, which would leave most schools segregated since neighbourhoods were segregated. (Raskin, 2004, pp. 157-8) Nonetheless, it reversed the trend since Plessy vs. Ferguson, in which the Supreme Court upheld the constitutionality of segregation. It struck a seemingly fatal blow to the legal order of the South’s ‘Jim Crow’ system. Anticommunism was of less direct use to the ‘practical segregationists’ than to the ‘massive resisters’. 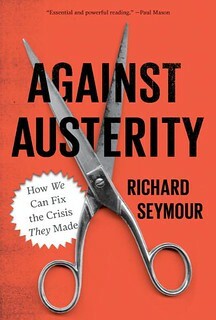 The former sought to represent themselves as reasonable figures accommodating difficult but perhaps legitimate demands. It made no sense for them to decry civil rights as a communist conspiracy. Long after the collapse of the CPUSA (whose membership was further depleted after the Twentieth Congress and Khrushchev’s disclosure of the crimes of High Stalinism) and the ‘Popular Front’ left, there was little of communism’s historical influence left to bemoan. As such, the efficacy of anticommunist politics and rhetoric was now in some doubt. No one was seriously breaking with the consensus, but its use in fire-fighting civil rights successes was arguably becoming visibly crude and rhetorically unpersuasive. To this extent, if anticommunism was a politics of crisis management in the Jim Crow South, its persistence only indicated the paucity of regionally available solutions and a failure in state initiative and capacity. In the fevered atmosphere of Bay of Pigs and the Cuban missile crisis, a revival of Red Scare hysteria might have been anticipated. In fact, the civil rights movement continued to grow, alongside a ‘New Left’ of which it was a tributary. This was in part because of the global crisis of white supremacy, prompted by insurgent anti-colonial movements often under a communist or anticapitalist rubric – the global ‘colour line’ was eroding. In the year 1960 alone, fourteen newly independent, formerly colonial states came into being: Congo, Benin, Togo, Cameroon, Somalia, Niger, Mauritius, Burkina Faso, Ivory Coast, Chad, Central African Republic, Gabon, Senegal, Mali. (Bush, 2009; Horne, 1991; Horne, 1986; Du Bois, 2008) As a result, the escalation of ‘Massive Resistance’ in the South was met by an opposite and eventually overwhelming escalation of the civil rights movement. The tactics of sit-ins, in which African Americans would occupy premises or seats reserved for whites, and freedom rides, in which civil rights activists would cross Jim Crow barriers on public transport, began to exhaust the capacity of Southern states to effectively respond. Either they were compelled to meet the demands of the movement, or smear and harass them, or physically assault them. Only the first of these worked, as had happened following the sit-ins in Nashville, Tennessee when Mayor Ben West was persuaded to publicly oppose segregation, while businesses negotiated the end of segregated custom with protesters. Legal harassment was widespread, certainly. In the three years following the sit-ins at the Woolworths lunch counter in Greensboro, North Carolina, approximately 20,000 people were arrested for participating in similar protests. But the threat of arrest did not impede the spread of this tactic. Outright brutality, which was common in many Southern redoubts, was anticipated by the tactic of non-violent civil disobedience, and in fact planned for, as it would illustrate the severity of the Jim Crow system to a wider public. The last stronghold of traditional, Southern racial anticommunism, was perhaps Alabama. There, the least centralised state administration co-existed with the least developed industrial base. Alabama had fewer means by which to accommodate the end of Jim Crow than most states, and a greater interest in resisting it. As a consequence, its responses were more violent, authoritarian and, as figured in the speech of its Governor George Wallace, more conventionally anticommunist. The state’s Department of Public Safety, based on information supplied by the FBI, labelled Martin Luther King Jr. and his allies among the “Left-Wing Pro-Communist Groups” menacing the social order. A local Peace Commission report charged that King was responsible for sixty communist front groups, yet another that he was under the direction of the Communist Party. Wallace himself volubly rebuked the “Communist conspiracy” at the heart of the “so-called civil rights movement”. Yet here, King and his allies knew that the state’s response was dysfunctional, that the anticommunist offensive was so bound up with paranoia, so incapable of compromise or accommodation, that the mere invitation to accommodate by peaceful means was liable to provoke violence, force the federal government to react, and thus further the crisis within the state. The mobilization of masses inside Jim Crow was thus intended to force change from outside Jim Crow. It leveraged the divisions within the U.S. ruling class, creating such disruption that thousands of businesses across the South de-segregated long before any legal mandate, and compelled the Federal government to act. The result, where local government did not adapt, was a profound degeneration in local state capacity, and the accumulation of further antagonisms (‘contradictions’) within and between central and local state apparatuses. This, and the logarithmic growth of civil rights campaigns leading to the 300,000 strong March on Washington in 1963, produced two distinctive kinds of response from the central state. One was that the FBI under Hoover intensified its campaign of harassment, disruption and subversion of civil rights leaders. For example, from 1963 until his assassination in 1968, Martin Luther King Jr. was the target of a “systematic program of harassment … by means both legal and illegal” intended to neutralize him as an effective civil rights leader. The power previously accumulated by Hoover’s bureaucratic office in the context of providing political intelligence to the White House and leading counter-subversion campaigns, played a significant role in this. For the majority of his staff were unconvinced of any significant communist presence in the organization for the March on Washington. Yet, Hoover’s insistence to the contrary was sufficient to have reports re-written, conclusions revised and a “substantial” communist menace confected. On the basis of such fictions, and more substantial ones besides, the FBI continued to disrupt the civil rights movement’s operations, leaking red-baiting smears to the media and generally acting as a powerful alibi to an embattled south. (Investigation, 2007, pp. 1-5; Lewis, 2004, pp. 68-72) Yet, as would be anticipated by the above remarks on the consent-coercion couplet above, the very efficacy of popular organization in breaking down the traditional means of state repression and terror was also disintegrating the anticommunist consensus. If Jim Crow is a politics and statecraft of capitalist transition, the racial administration of accumulation-by-dispossession, anticommunism in its context is a politics of crisis management, an attempt to resolve the developing fissures in white supremacist administration through the production of social categories of subversive and anti-national. Inasmuch as the state maintained an internal frontier to separate nationals from non-nationals, to efficiently manage labour markets and constitute the white national as a corporate body represented in and by the white supremacist state, anticommunism proposed that challenges to this frontier were alien, anti-national, and subversive. It is, in Anna Cento Bull’s term, “a politics of nonreconciliation”, executed on the part of dominant classes who are asked by a superior partner in the power bloc to accommodate a popular class interest. (Bull, 2007) This politics would have been ineffectual were it not for the important role that the Southern states could play in consolidating a nation-wide hegemony in the Cold War, and thus the lenience and indulgence that the central state was prepared to display toward local states. And it ceased to be effectual as soon as Southern states moved from consolidating hegemony to exploding it. Alonso, A. M., 1994. The Politics of Space, Time and Substance: State Formation, Nationalism and Ethnicity. Annual Review of Anthropology, Volume 23, pp. 379-405. Ashworth, J., 1995. Slavery, Capitalism and Politics in the Antebellum Republic: Volume I: Commerce and Compromise, 1820-1850. Cambridge, New York & Melbourne: Cambridge University Press. Ashworth, J., 2007. Slavery, Capitalism and Politics in the Antebellum Republic: Volume 2: The Coming of the Civil War, 1850-1861. Cambridge, New York & Melbourne: Cambridge University Press. Banaji, J., 2010. Theory as History: Essays on Modes of Production and Exploitation. Leiden & Boston: Brill. Barlow, A. L., 2003. Between Fear and Hope: globalization and race in the United States. Lanham, MA & Oxford: Rowman & Littlefield. Barnard, W. D., 1985. Dixiecrats and Democrats: Alabama Politics, 1942-1950. s.l. :University of Alabama Press. Bartley, N. V., 1999. The Rise of Massive Resistance: race and politics in the South during the 1950's. Baton Rouge: Louisiana State University Press. Bennett, D. H., 1988. The Party of Fear: from nativist movements to the New Right in American history. s.l. :University of North Carolina Press. Borstelmann, T., 2001. The Cold War and the Color Line: American Race Relations in the Global Arena. Cambridge, MA & London: Harvard University Press. Bretthauer, L., 2011. Materiality and Condensation in the Work of Nicos Poulantzas. In: A. Gallas, L. Bretthauer, J. Kannankulam & I. Stutzle, eds. Reading Poulantzas. Pontypool: Merlin Press, pp. 72-88. Brown, S. H., 2002. Redressing Southern 'Subversion': The Case of Senator Eastland and the Louisiana Lawyer. Louisiana History: The Journal of the Louisiana Historical Association, 43(3), pp. 295-314. Bull, A. C., 2007. Italian Neofascism: the strategy of tension and the politics of nonreconciliation. s.l. :Bergahn Books. Burawoy, M., 1984. THE CONTOURS OF PRODUCTION POLITICS. In: Labour in the Capitalist World-Economy. Beverly Hills, London & New Delhi: Sage Publications. Bush, R., 2009. The End of White World Supremacy: Black Internationalism and the Problem of the Color Line. s.l. :Temple University Press. Capozzi, I. Y., 2006. The Civil Rights Act: background, statutes and primer. New York: Novinka Books. Carlton, D. L., 1994. Paternalism and Southern Textile Labor: A historiographical review. In: G. Fink & M. E. Reed, eds. Race, Class, and Community in Southern Labor History. Tucson, AL: University of Alabama Press, pp. 17-26. Carson, C., 1996. In Struggle: SNCC and the Black Awakening of the 1960s. Cambridge, MA: Harvard University Press. Casey, S., 2008. Selling the Korean War: Propaganda, Politics, and Public Opinion 1950-1953. s.l. :Oxford University Press. Chalmers, D., 2003. Backfire: How the Ku Klux Klan Helped the Civil Rights Movement. Oxford: Rowman & Littlefield. Clark, W. A., 1976. AN ANALYSIS OF THE RELATIONSHIP BETWEEN ANTI-COMMUNISM AND SEGREGATIONIST THOUGHT. s.l. :ProQuest Dissertations & Theses. Corrigan, P. & Sayer, D., 1985. The Great Arch: English State Formation as a Cultural Revolution. Oxford: Basil Blackwell. Crespino, J., 2007. In Search of Another Country: Mississippi and Conservative Counterrevolution. Princeton and Oxford: Princeton University Press. Davies, R., 1976. Mining Capital, The State and Unskilled White Workers in South Africa, 1901-1913. South African Studies, October.3(1). Davis, J. E., 2000. The Civil Rights Movement. Malden, MA, & Oxford: Blackwell. Davis, M., 1999. Prisoners of the American Dream: Politics and Economy in the History of the U.S. Working Class. London & New York: Verso. Dear, M. & Clark, G. L., 1981. Dimensions of local state autonomy. Environment and Planning A, Volume 13, pp. 1277-1294. Dittmer, J., 1995. Local People: The Struggle for Civil Rights in Mississippi. Champaign: University of Illinois Press. Du Bois, W. E. B., 2008. The Souls of Black Folk. Rockville, Maryland: Arc Manor. Dudziak, M., 2000. Cold War Civil Rights. Princeton and Oxford: Princeton University Press. Engerman, S. L. & Gallman, R. E., 1986. Long-Term Factors in American Economic Growth. 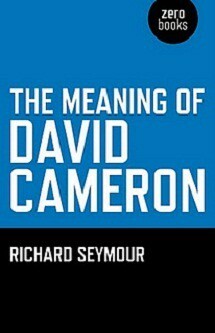 London: University of Chicago Press. Eyes on the Prize 3: Ain't Scared of Your Jails (1960-1961). 1990. [Film] Directed by Henry Hampton. s.l. : Blackside. Foglesong, D. S., 2007. The American Mission and the ‘Evil Empire’. s.l. :Cambridge University Press. Foucault, M., 1994. Governmentality. In: J. D. Faubion, ed. Power: essential works of Foucault, 1954-1984. London: Penguin, pp. 201-22. Foucault, M., 2002. The Archaeology of Knowledge. London: Routledge. Frederickson, K. A., 2001. The Dixiecrat Revolt and the End of the Solid South, 1932-1968. s.l. :University of North Carolina Press. Fried, R. M., 1991. Nightmare in Red: the McCarthy era in perspective. s.l. :Oxford University Press. Gettleman, M., Franklin, J., Young, M. B. & Franklin, H. B., 1995. Vietnam and America: The Most Comprehensive Documented History of the Vietnam War. s.l. :Grove Press. Goldzwig, S. R., 2008. Truman's Whistle-Stop Campaign. s.l. :Texas A & M University Press. Gramsci, A., 1971. State and Civil Society. In: Q. Hoare & G. Nowell Smith, eds. Selections from the Prison Notebooks of Antonio Gramsci. London: Lawrence & Wishart. Greenberg, B. & Watts, L. S., 2009. Social history of the United States, Volume 1. Santa Barbara: ABC-CLIO. Hahn, S., 2006. The Roots of Southern Populism: Yeoman Farmers and the Transformation of the Georgia Upcountry, 1850-1890. Oxford & New York: Oxford University Press. Hall, S., 1997. Representation, meaning and language. In: S. Hall, ed. Representation: Cultural Representations and Signifying Practices. s.l. :Sage Publications Ltd..
Heale, M. J., 1990. 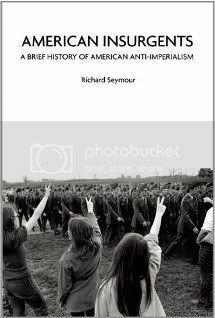 American Anticommunism: Combating the Enemy within, 1830-1970. s.l. :Johns Hopkins University Press. Hine, D. C., 2003. Black Victory: the rise and fall of the white primary in Texas. s.l. :University of Missouri Press. Honey, M. K., 1993. Southern Labor and Black Civil Rights: organizing Memphis workers. Champagne, Illinois: University of Illinois Press. Honey, M. K., 2004. Operation Dixie, the Red Scare, and the Defeat of Southern Labor Organizing. In: American Labor and the Cold War: Grassroots Politics and Postwar Political Culture. Brunswick, NJ & London: Rutgers University Press, pp. 216-44. Horne, G., 1986. Black and red: W.E.B. Du Bois and the Afro-American response to the Cold War, 1944-1963. Albany, NY: State University of New York Press. Horne, G., 1991. Civil Rights/Cold War. Guild Practitioner, 48(191). Horne, G., 2008. The End of Empires: African Americans and India. Philadelphia: Temple University Press. Horsman, R., 1981. Race and Manifest Destiny: The Origins of American Racial Anglo-Saxonism. s.l. :Harvard University Press. Investigation, F. B. o., 2007. Martin Luther King, JR.: The FBI Files. s.l. :Filiquarian Publishing. Irons, J. C., 2000. Testing the New Deal: The general textile strike of 1934 in the American south. s.l. :University of Illinois Press. Isserman, M., 1993. Which Side Were You on? : The American Communist Party during the Second World War. s.l. :University of Illinois Press. Jacobson, M. F., 2001. Barbarian Virtues: the United States encounters foreign peoples at home and abroad, 1876-1917. New York: Hill and Wang. James, D. R., 1988. The transformation of the southern racial state: Class and race determinants of local-state structures. American Sociological Review, 53(2). Jeansonne, G., 1994. Huey Long and the Historians. The History Teacher, 27(2), pp. 120-125. Jessop, B., 2002. The Political Scene and the Politics of Representation: Periodising Class Struggle and the State in the Eighteenth Brumaire. In: M. Cowling & J. Martin, eds. Marx’s Eighteenth Brumaire: (Post)modern Interpretations. London & Sterling, VA: s.n. Jessop, B., 2008. State Power: A Strategic-Relational Approach. Cambridge: Polity. Johnson, K. S., 2010. Reforming Jim Crow: Southern politics and state in the age before Brown. New York: Oxford University Press. Kayatekin, S. A., 2001. Sharecropping and the Feudal Class Process In the Postbellum Mississippi Delta . In: Re/presenting Class: essays in postmodern Marxism. Durham, North Carolina: Duke University Press, pp. 227-246. Kelley, R. D. G., 1990. Hammer and Hoe: Alabama Communists During the Great Depression. Chapel Hill and London: University of North Carolina Press. King Jr., M. L., 2005. The Papers of Martin Luther King, Jr.,: Threshold of a New Decade, January 1959–December 1960. Berkeley and Los Angeles, CA: University of California Press. Klarman, M. J., 2004. From Jim Crow to Civil Rights:The Supreme Court and the Struggle for Racial Equality. New York: Oxford University Press. Kovel, J., 1997. Red Hunting in the Promised Land: Anticommunism and the Making of America. s.l.:Cassell. Lee, T., 2008. The Tennessee-Virginia Tri-Cities: urbanization in Appalachia, 1900-1950. Knoxville, TN: University of Tennessee Press. Legare, A., 1982. Towards a Marxian Theory of Canadian Federalism. Studies in Political Economy, Volume 8. Legassick, M., 1974. Legislation, ideology and economy in post‐1948 South Africa. Journal of Southern African Studies , 1(1), pp. 5-35. Levy, P. B., 1994. The New Left and Labor in the 1960s. Champagne: University of Illinois Press. Lewis, G. F., 2004. The White South and the Red Menace: Segregationists, Anticommunism and Massive Resistance, 1945-1965. 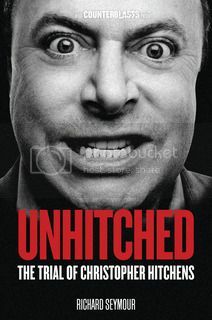 Gainesville: University of Florida Press. Lieberman, R., 2010. The Strangest Dream Communism, Anticommunism, and the U.S. Peace Movement, 1945-1963. s.l. : Information Age Publishing. Losurdo, D., 2010. Liberalism: A Counter-History. London & New York: Verso. Lowndes, J., 2005. From Founding Violence to Political Hegemony: The Conservative Populism of George Wallace. In: F. Panizza, ed. Populism and the Mirror of Democracy. London & New York: Verso. Marable, M., 2007. Race, Reform, and Rebellion: The Second Reconstruction and Beyond in Black America, 1945-2006. s.l. :University Press of Mississippi. Martin, W. E., 1986. Brown v. Board of Education: a brief history with documents. Boston, MA: Bedford/St Martins. Massey, D. S. & Denton, N. A., 1993. American Apartheid: Segregation and the Making of the American Underclass. Cambridge, MA & London: Harvard University Press. Massey, D. S., Rothwell, J. & Domina, T., 2009. The Changing Bases of Segregation in the United States. The ANNALS of the American Academy of Political and Social Science, Issue 626, pp. 74-90. Mayers, D., 2007. Dissenting Voices in America’s Rise to Power. s.l. :Cambridge University Press. McKay, R. B., 1956. "With All Deliberate Speed": A Study of School Desegregation. New York University Law Review, Volume 31, pp. 991-1090. McVeigh, R., 2009. The Rise of the Ku Klux Klan: right-wing movements and national politics. Minneapolis: University of Minnesota Press. Mickey, R. W., 2008. The Beginning of the End for Authoritarian Rule in America: Smith v. Allwright and the Abolition of the White Primary in the Deep South, 1944–1948. Studies in American Political Development, Fall, Volume 22, p. 143–182. Minchin, T. J., 1997. What Do We Need a Union for? : TWUA in the South, 1945-1955. Chapel Hill, North Carolina: University of North Carolina Press. Minchin, T. J., 1999. Hiring the black worker: the racial integration of the Southern textile industry, 1960-1980. Chapel Hill, North Carolina: University of North Carolina Press. Mintz, S., 1978. Was the Plantation Slave a Proletarian?. Review (Fernand Braudel Centre), 2(1). Morgan, C. M., 1985. Redneck Liberal: Theodore G. Bilbo and the New Deal. s.l. :Louisiana State University Press. Morris, A. D., 1986. The Origins of the Civil Rights Movements: Black Communities Organizing for Change. s.l. :Free Press. Neale, J., 2004. A People’s History of the Vietnam War. s.l. :The New Press. Newton, M., 2010. The Ku Klux Klan in Mississippi: a history. Jefferson, NC: Macfarlane and Company. Onufriu, V., 2007. DE LA DÉMAGOGIE EN AMÉRIQUE: LE SÉNATEUR JAMES O. EASTLAND DU MISSISSIPPI ET LA RËPRESSiûN ANTiCûiviMüNiSTE ENVERS LES MILITANTS DU MOUVEMENT DES DROITS CIVIQUES, 1948-1965. s.l. :UI\IIVERSITÉ DU QUÉBEC À MONTRÉAL. Otanelli, F. M., 1991. The Communist Party of the United States: From Depression to World War II. s.l. :Rutgers University Press. Piven, F. F., 2006. Challenging Authority: How Ordinary People Change America. Lanham, Boulder, New York, Toronto & Oxford: Rowman & Littlefield. Piven, F. F. & Cloward, R., 1979. Poor People's Movements: Why They Succeed, How They Fail. New York: Vintage Books. Post, C., 2011. The American Road to Capitalism: Studies in Class-Structure, Economic Development and Political Conflict, 1620–1877. Leiden & Boston: Brill. Poulantzas, N., 1978. Political Power and Social Classes. London: Verso. Poulantzas, N., 2000. State, Power, Socialism. London & New York: Verso. Raskin, J. B., 2004. Overruling democracy: the Supreme Court versus the American people. New York: Routledge. Roback, J., 1984. Southern Labor Law in the Jim Crow Era: Exploitative or Competitive?. The University of Chicago Law Review, Volume 51, pp. 1161-92. Robin, C., 2004. Fear: The History of a Political Idea. New York: Oxford University Press. Roediger, D., 2008. How Race Survived U.S. History: from settlement and slavery to the Obama phenomenon. London & New York: Verso. Roscigno, V. J. & Danaher, W. F., 2004. The Voice of Southern Labor: radio, music and textile strikes, 1929-1934. Minneapolis: University of Minnesota Press. Rothman, A., 2005. Slave Country: American Expansionism and the Origins of the Deep South. Cambridge, MA & London, UK: Harvard University Press. Rupert, M., 1995. Producing Hegemony: The Politics of Mass Production and American Global Power. Cambridge & New York: Cambridge University Press. Schmidt, R., 2000. Red Scare: FBI and the origins of anticommunism in the United States, 1919-1943. s.l. :Museum Tusculanum Press. Schrecker, E., 1999. Many Are the Crimes: McCarthyism in America. Princeton, NJ: Princeton University Press. Schrecker, E., 2002. The Age of McCarthyism: a brief history with documents. 2nd ed. New York: Palgrave Macmillan. Schulman, B. J., 1991. From Cotton Belt to Sunbelt. Federal Policy, Economic Development, and the Transformation of the South, 1938-1980. s.l. :Oxford University Press. Scott, J. C., 1998. Seeing Like A State: How Certain Schemes to Improve the Human Condition Have Failed. New Haven & London: Yale University Press. Sellers, C. & Terrell, R., 1990. The River of No Return: the autobiography of a Black militant and the life and death of SNCC. New York: William Morrow. Seymour, R., 2008. 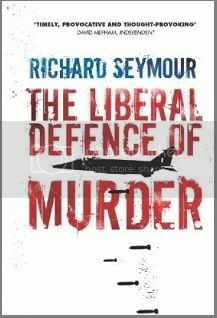 The Liberal Defence of Murder. London & New York: Verso. Sieroty, B., 1956. Civil Rights at the Crossroads. The Canadian Jewish Chronicle, 16 March, p. 8. Sitkoff, H., 1978. A New Deal for Blacks: The Emergence of Civil Rights as a National Issue: The Depression Decade. Oxford, New York, Toronto & Melbourne: Oxford University Press. Sitkoff, H., 1981. The Struggle for Black Equality. New York: Hill and Wang. Solomon, M., 1981. The Cry Was Unity: communists and African Americans, 1917-36. s.l. :University Press of Mississippi. Therborn, G., 1977. The Rule of Capital and the Rise of Democracy. New Left Review, May-June.I(103). Therborn, G., 1983 . Why Some Classes are More Successful Than Others. 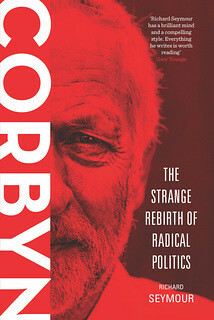 New Left Review, March-April.I(138). Thomas, P., 2009. The Gramscian Moment: Philosophy, Hegemony, and Marxism. Boston & Leiden: Brill. Vaughn, W. G. & Davis, M. C., 2006. 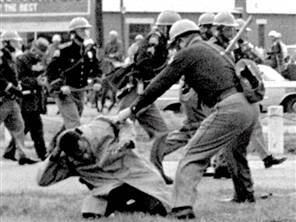 The Selma Campaign, 1963-1965: the decisive battle of the civil rights movement. Dover, MA: The Majority Press. Vitalis, R., 2000. Black Gold, White Crude: Race and the Making of the American Oil Frontier. MacMillan Center for International and Area Studies. Walker, A., 1998. Legislating Virtue: How Segregationists Disguised Racial Discrimination as Moral Reform Following Brown v. Board of Education. Duke Law Journal, 4 June, Volume 47, pp. 399-424. Walker, A., 2009. The Ghost of Jim Crow. Oxford: Oxford Scholarship Online. Walker, W. T., 2011. McCarthyism and the Red Scare: A Reference Guide. Santa Barbara: ABC-CLIO. Weston, R. F., 1972. Racism in US Imperialism: The Influence of Racial Assumptions on American Foreign Policy, 1893-1946. Colombia, South Carolina: University of South Carolina Press. Wilkinson III., J. H., 1978. THE SUPREME COURT AND SOUTHERN SCHOOL DESEGREGATION, 1955 - 1970: A HISTORY AND ANALYSIS. Virginia Law Review, 64(4), pp. 485-559. Williams, R., 1983. Keywords: A Vocabulary of Culture and Society. New York: Oxford University Press. Wolpe, H., 1980. Introduction. In: H. Wolpe, ed. The Articulation of Modes of Production: Essays from Economy and Society. London, Boston & Henley: Routledge & Kegan Paul, pp. 1-43. Wood, N., 2004. Tyranny in America: capitalism and national decay. London & New York: Verso. Wood, P. J., 1986. Southern Capitalism: The Political Economy of North Carolina, 1880-1980. Durham, North Carolina: University of North Carolina Press. Woods, J., 2004. Black Struggle, Red Scare: Segregation and Anti-Communism in the South, 1948-1968. Baton Rouge: Louisiana State University Press. Woodward, C. V., 2002. The Strange Career of Jim Crow. Oxford, New York: Oxford University Press. Yarnell, A., 1974. Democrats and Progressives; The 1948 Presidential Election As a Test of Postwar Liberalism. Berkeley: University of California Press.